Finding reliable luggage repair service can be challenging, especially if your luggage breaks down while you are travelling. This is why good luggage maintenance between trips is so important. It reduces the risk of your luggage breaking down when you least need it. Travelling takes a lot out of any bag. Most luggages endure rough handling at some point. It though takes a lot for a bag to be damaged beyond repair. Still, the time unavoidable comes that even the toughest luggage needs some "tender love and care". What To Do When Your Luggage Breaks Down? You have two options. You can try to fix the luggage yourself or find someone that can do it for you. Can You Fix The Luggage Yourself? It is of course most convenient, and even cheaper, if you can repair the luggage yourself. That is though not always practical. You may have problem locating the right luggage spare parts or specialist equipments could be needed to properly repair the luggage. Sometimes you may be able to fix the luggage temporarily, i.e. allowing you to get back home and have your luggage professionally repaired. Some luggage repair is easier to do yourself than others. Changing luggage zipper is for example more than most travelers can handle themselves, while fixing minor fabric tear or change luggage wheels is relatively easy to do. Our DIY Luggage Repair Guide goes through how to fix the luggage yourself. Most luggage manufacturers offer luggage warranties and therefore operate some form of luggage repair service. Therefore, the first step is usually to contact the manufacturer directly if your luggage needs to be professionally repaired. This usually requires you to send the bag to them at your expense (unless still under valid warranty). This can be costly as well as inconvenient so another option is to look for local specialized luggage service center. Some manufacturers though offer store drop off, i.e. you can drop your bag off at the most convenient retailer (there could though be some handling charge). Specialized luggage retailers sometime offer repair service. Again, there might be some shipping charged involved if not in-house or local repair service. The bottom line is that the best way to locate reputable luggage service center is to contact either the manufacturer or your nearest specialized luggage retailer. They should be able to handle the repair themselves or else advice you where you can find the nearest luggage service center. When Is Luggage Repair Worth It? This depends very much on the price of your bag. The more expensive your luggage is, the more likely it is to be worth repairing it. While less expensive bags may be cheaper to just replace. The cost does also depend on the repair, some things are more expensive to replace or fix than others. All reputable luggage service centers will quote you the full repair price before doing any work. 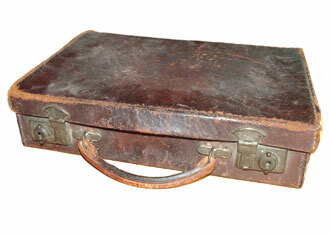 Repair centers can also restore luggage to its former glory. Colors can be changed and special applications (conditioners, polishers) can make an old bag look like new. Good luggage repair centre can resuscitate almost any bag. Why not spread the word and share it with your friends and followers. Soft Or Hard Sided Luggage?